Finding inspiration from her family, Sandra Villarreal decided she would come back to school to finish her education. Villarreal is a single mother from Weslaco, Texas. 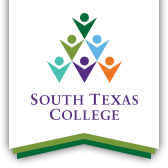 Currently a student at the South Texas College Mid Valley Campus, Sandra is pursuing an associate degree in Secondary Education. She decided to continue her education after she discovered her son was diagnosed with depression. Before attending STC, Villarreal says she worked for Airport Elementary as a teacher’s assistant with just a high school diploma. It was then, that Sandra realized she wanted to continue her education because she loved working with kids. The Associate of Arts in Teaching (AAT) program at STC introduces students to the teaching profession. Students may choose to focus on elementary, middle school, or high school education. This degree meets the "No Child Left Behind" requirements for paraprofessionals. The act requires that schools demonstrate that each student is current with their education in key areas such as math and reading. Students are allowed to receive a certificate of completion for substitute teaching once they have completed EDUC 1301. Students may also receive a certificate for teachers assistant once they have completed EDUC 2301. Sandra says she wants to focus on her studies at STC and eventually wants to pursue her bachelor’s degree in teaching. After she graduates, she would like to start teaching children from pre-kinder or Kindergarten. Villarreal feels STC is preparing her for the future. Sandra has a message for students who are wanting to accomplish their goals. “It may seem like it’s going to take forever, but it really wont,” Villarreal said. “You need to continue because it only gets better from here. Learn as much as you can while you’re young.